SAP Business Suite powered by HANA ® | Fasttrack Solutions Inc. Discover how you can drive your entire business in real time to respond to demand changes, deliver personalized offers, and provide superior service. Stay ahead of the game in your industry by unlocking new growth opportunities. Learn about how SAP Business Suite provides smarter business innovations, faster business processes, and simpler business interactions. Want to know what the SAP Business Suite powered by SAP HANA can do for your business? HANA is not just a fancy name. It stands for High Performance Analytic Appliance. Sure, these are big words. But we can assure you that the benefits your business can derive from SAP HANA can even be bigger. Business solutions by topnotch global IT company SAP are now powered by HANA, which is touted as the next big thing in business analytics and real-time intelligence. The operative word is real-time. SAP HANA delivers maximum benefit to businesses using a massive amount of data from one unit to another. As soon as the bit of information is entered into the system, it is automatically mined alongside other information that’s already there to paint a very current picture of your business situation. And not a minute behind. Let’s use an example – Materials Requirement Planning. Imagine you are working in this department of your company. Your primary objective is to match supply and demand such that you have enough materials in your inventory so that sales orders for that particular period can be fulfilled, to the satisfaction of your customers. Remember that having too much or too little in the levels of your materials will entail costs to your company, and so the matching is crucial. In the past, material requirements planners used lists which are outdated as soon as they are printed. Why? In the time that it takes for the piece of paper to be printed and brought to the table of the decision maker, new information has already been entered into the system somewhere in the organization, whether in another plant, in another city or another country altogether. The picture has already changed, and the decision about to be made would be based on outdated information. With SAP HANA,the planner can see the actual supply situation and link it to orders. Both are present, in real time, on a single screen. The decision maker can then prioritize better. How much does he need to allocate to this sales order? Which order can afford to wait a little longer? SAP HANA is also able to flag potential problems. It immediately warns the planner if something is going to be delayed, and why, and by how long. Armed with this information, the planner can act accordingly. But the benefits don’t stop there. Using the data that’s in the system, SAP HANA goes one step further and proposes ways in which the problem can be addressed. It identifies a preferred resolution, as well as gives alternatives to that most ideal scenario. The planner is no longer overwhelmed by the temporary challenge. He is instead empowered by the help given by SAP HANA and can then focus on evaluating these scenarios to come up with the optimal solution. So while HANA stands for multi-syllabic, techical-sounding, initially intimidating jargon, the irony is that having it can make everything smarter, faster, and simpler for businesses. Why smarter? With smarter business innovations, you can unlock growth opportunities before your competitors do. Solve today’s issues and introduce game-changing innovations. Choose between side by side and native scenarios. See how rapid-deployment solutions enable smarter deployments. Why faster? With faster business processes, you can drive your business at the speed of the market. Manage your daily operations and derive new business outcomes in real time. Optimize multiple business value scenarios. Take advantage of more than 30 complementary solutions powered by HANA and new mobile applications. And why simpler? Simpler business interactions and empower people to decide and act in the business moment. Execute with efficiency and deliver inspiring experiences. Use easily consumable views leveraging different solutions and technologies. Ten reasons sum up why using a SAP HANA-powerd SAP Business Suite is in the best interest of your business. First, it’s the next-generation platform. There is no turning back. SAP HANA is transactional, analytical, social, mobile, predictive and in the cloud. Second, integrated real-time reporting and analytics would give your company smarter business innovations. Third, real time processing of operational data running in-memory means faster business processes. Fourth, that the transactional and analytical information is in one platform so you have simpler business interactions. Fifth, you get higher business value because you derive unprecedented opportunities and competitive advantages. Sixth, you will be able to innovate without disruption. SAP HANA provides a clear innovation road map and makes it possible for you to migrate your data without disrupting your business operations. Seventh, you as customer will be given many choices. The deployment will be based on your business priority and value. Eighth, the open architecture brings to you all the benefits of new technologies, new thinking and new possibilities. 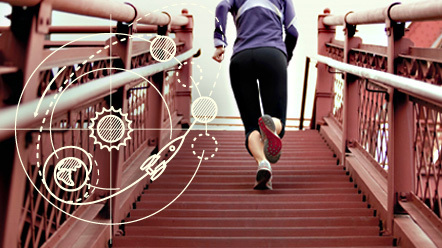 Ninth, SAP HANA is committed to your success, not just now but for the long haul. Finally, when you make the decision to power your business suite with SAP HANA, you will join other similarly successful businesses who have chosen to be innovators in their own fields. So if your business is engaged in handling very large volumes of data, the SAP Business Suite powered by HANA is just the right solution for you. Real-time planning, execution, reporting and analysis are all possible. As a result, your operations in finance, sales, marketing, service, manufacturing, through more than 400 reports optimized with SAP HANA, will allow your business to have unprecedented performance. But SAP did not come up with faster horses. It offered, instead, the automobile. People initially did not know they wanted – needed – it, but when they did, the entire equation changed and the world moved ever faster. The industry SAP HANA is in is the database industry. More and more, with globalization and technological advances, the global economic engine is powered by a massive amount of data that ordinary computer systems may not be able to accommodate, much less use for optimal results. Storage is one thing, business analytics is quite another. And indeed the key advantage of the SAP HANA platform over its competitors is its responsiveness. In real time, the real situation of the business is available. This enables people in the company – wherever they may be located – to engage and make use of the information anytime. As a result, the people in the company become more responsive, more productive, and more pro-active. Wherever in the world or in the country they may be located, they have access to information that allows them to look at the business more intelligently and plan their actions accordingly. They will do it with speed, because the lag time traditionally experienced waiting for information from other units, or other periods, is gone. Whatever appears on the screen is real-time data. They will also act with simplicity, because there are no more complicated back-and-forths asking for this or that piece of information. Everything that any user needs will be right there in front of him or her. Finally, they will work smarter. So much more will be accomplished in the same amount of time in which they used to do business. Energies can be focused on thinking about and acting on the input provided by HANA, and how these possibilities figure in relation to the overall business strategy. Managers and executives will be informed of what works, and what does not work (and why) so that they are able to tweak their approaches to doing business. The direct consequence is that customers get much better quality of product or service, corresponding to and even exceeding their expectations. Imagine a Europe-based company with global presence, engaged in the business of trading hardware supplies. The company has tens of thousands of employees and buys and sells 100,000 unique articles. A business solution powered by SAP HANA allows this company to know at once what they have and what they lack at any given place, at any given time. The quality intelligence derived from existing data guides them into making sure that the right volume of the right articles are present at the right time. Huge amounts of data are not a problem; in fact, they are what allow SAP HANA to deliver the best benefits to this innovator-company. Another global company, this time in the chemicals industry, also attests to the exponential benefits it has derived from SAP HANA. With HANA, everybody works in the same way wherever they may be in the world. The most important thing is that they are enabled to process an enormous amount of data and use them in such a way that they could focus on individual customers rather than general markets. As a result, they are able to maintain excellent customer relationship management given their presence in almost all countries of the world. They are able to know what is it that customers like, or don’t like, or whether they have certain buying patterns. This, combined with the real-life reporting capabilities, are what make SAP HANA essential to the business. Today you have a choice to be faster, simpler, and smarter. Indeed, SAP Business Suite powered by SAP HANA is the best decision you can make for your business. Make that choice today.